Believe it or not, but the choice of the pen can tell a lot about a person. 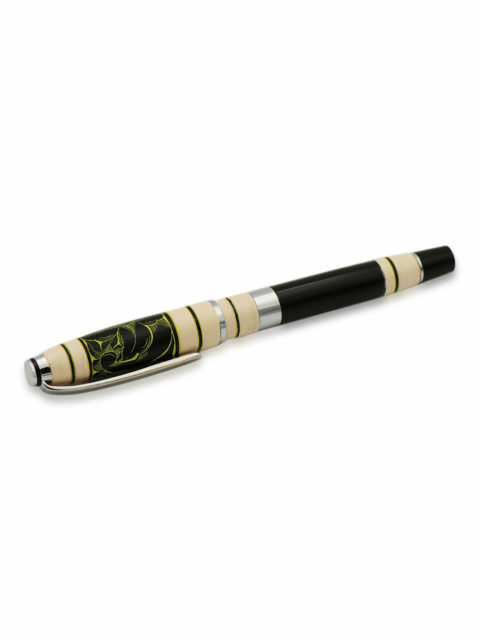 This is exactly you should never opt for something less than the best. 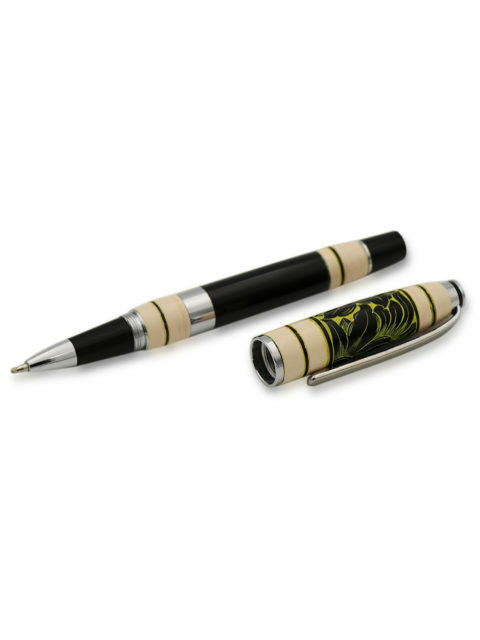 Pen designs can be boring and quite bland, but we’re here to change that. 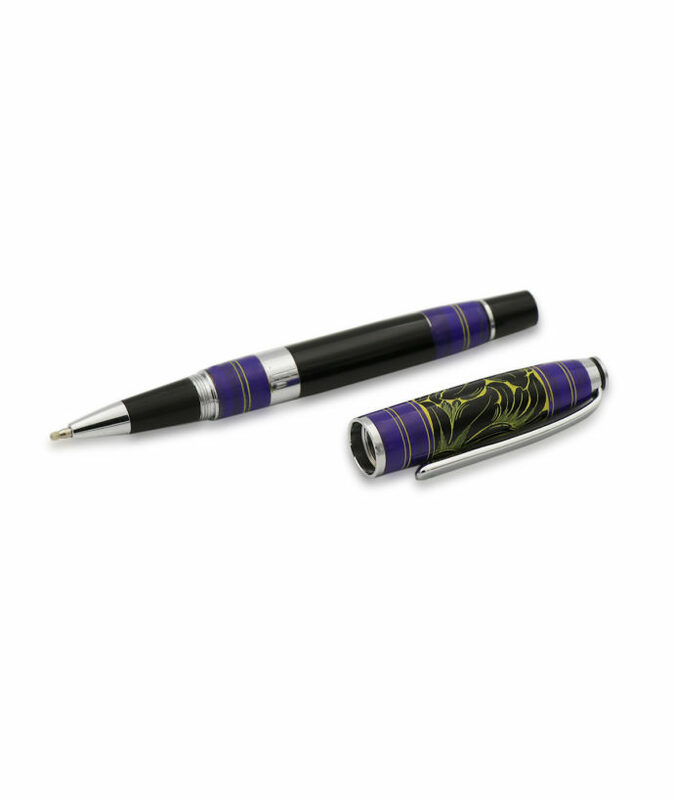 The Premier Lacquered Violet is the pen that will surpass all your expectations of design and functionality. 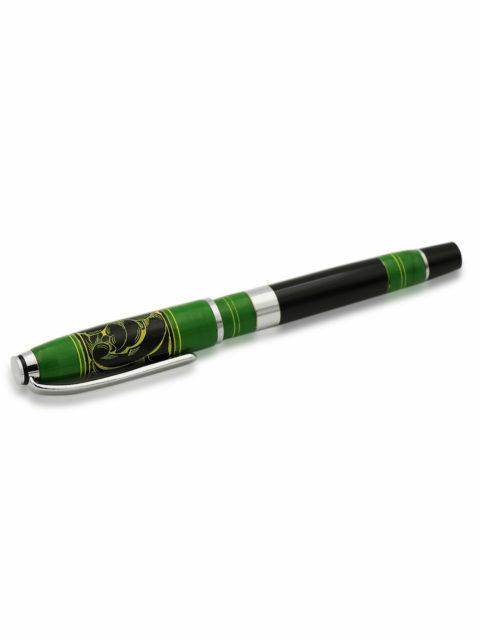 Your go-to writing tool does not need to look boring to provide you with a premium writing experience. That is why we have combined a high-quality writing experience with a stylish and captivating design. 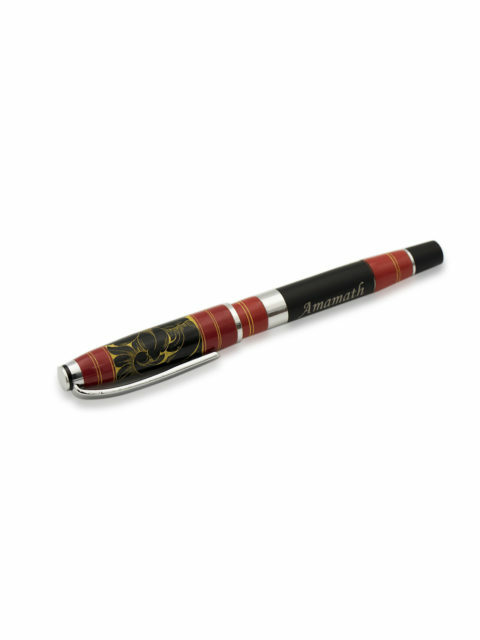 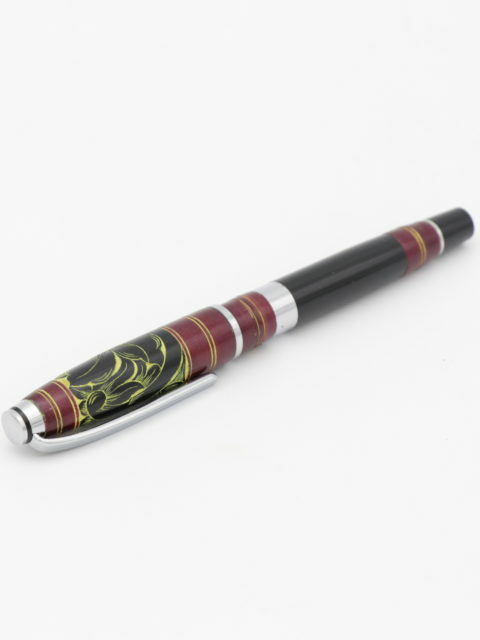 The pen takes design cues from the rich culture of the Maldives and completes it all with a lacquered finish to enhance the premium look and feel of this pen. 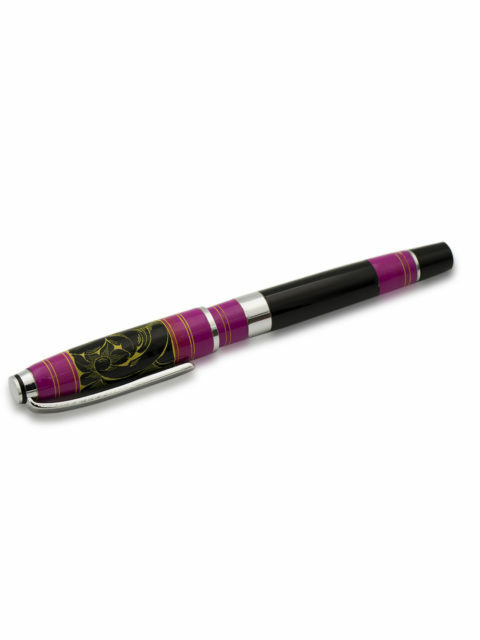 The violet on the cap features a band of black as well that is decorated in the pattern of a flower in yellow. 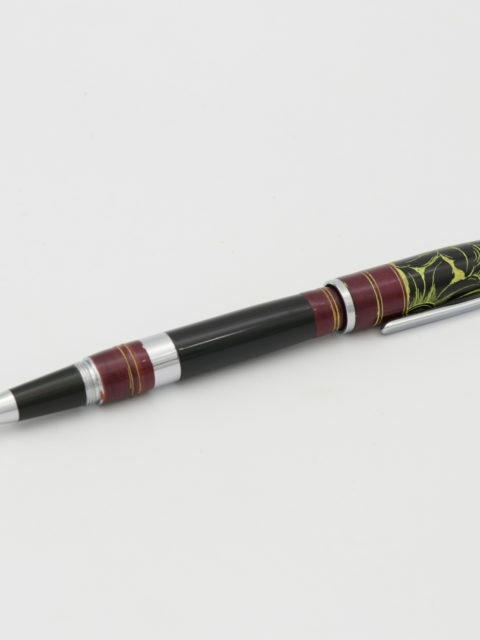 The combination of violet and black complemented by yellow make for quite a unique and intriguing look and design for this pen. 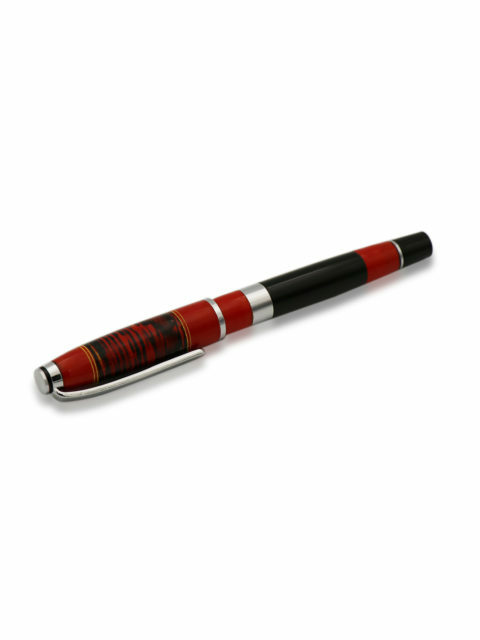 Choose only the best as your writing tool of choice. 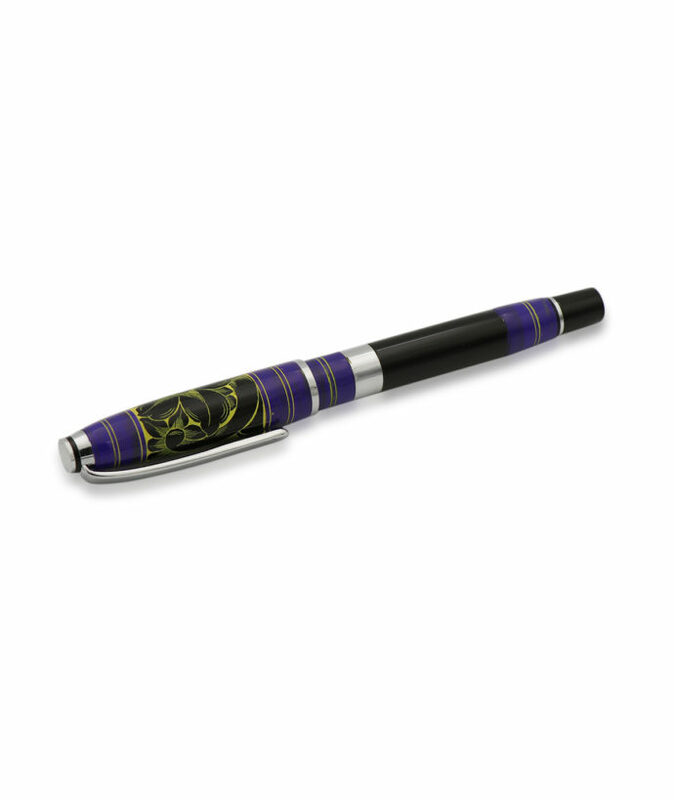 Order the Premier Lacquered Violet today for yourselves or a friend. 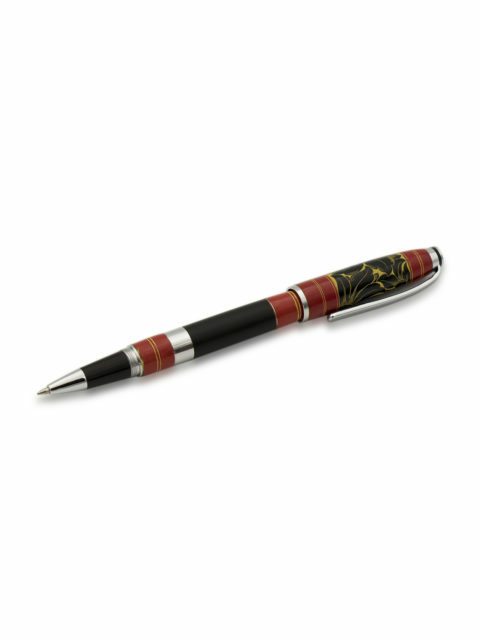 The high-quality pen makes for an ideal gift for a friend or loved one. 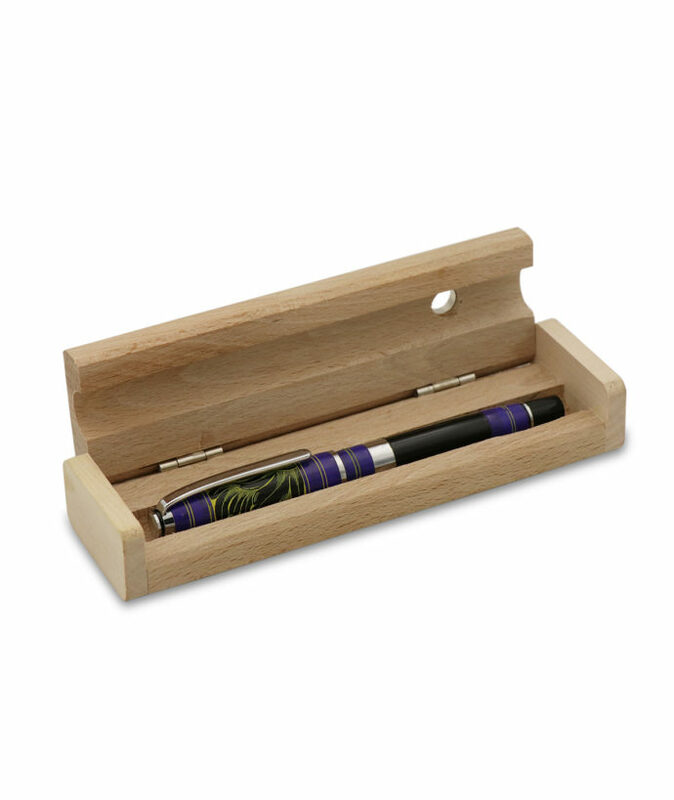 You can go one step ahead and even get your own or your friend’s name engraved on the side if you want.